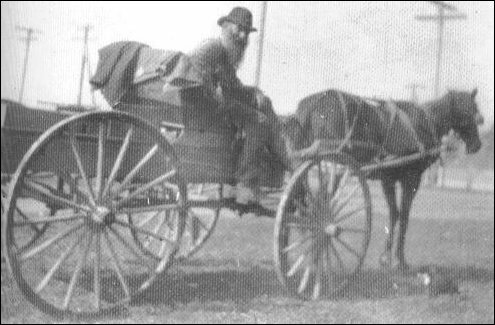 Emmett Van Fleet on his buckboard wagon, sometime after 1900. We do not have any photos of the Seaburys so we hope that a reader will have some or will know some descendant of the family. We also hope to learn more details about Lloyd and his family. Almost everyone who has studied the history of the Sedro-Woolley area has read at least one story by Ray Jordan, the king of the local history scribes. Far fewer have read the memoirs of Lloyd Seabury (1893-1978), who arrived in the area at almost the same time as Jordan but who exhibits a distinctly more literary and creative style in his book, A Pioneer Family (self-published 1975) and his Skagit Valley Herald columns from the 1960s and '70s. His book is even harder to find than Jordan's Yarns of the Skagit Country, published in the prior year. Lloyd's father, Isaac Cornelius Seabury, was one of the hardy pioneers around Plainview, Nebraska in the late 1800s. We do not know if Lloyd's older brother Howard led the family here or if he was hired after they arrived, but we do know that they arrived in the Skiyou district in early 1901, that Howard was hired as an attorney on May 24, and a year later Howard became the city attorney for the newly merged town of Sedro-Woolley. The town of Plainview also contributed the first editors of the Skagit County Courier, when local Republican powerhouse David Donnelly bankrolled the new weekly newspaper silently in 1901. Howard Seabury suggested Ulysses E. Foster, who had edited newspapers in Norfolk and Plainview, Nebraska. A year later, Foster took on as half-owner another Nebraska editor, W.H. Totten, an editor from Fullerton and Chimney Rock, Nebraska. Foster became Sedro-Woolley Postmaster in 1904 as part of the Teddy Roosevelt patronage. Lloyd's mother, Eliza (Wakesham) Seabury immigrated from England with her family in 1855, but his father's family was among the earliest post-Mayflower passengers in the 17th century. The family moved west together from New York to Iowa and then again to Nebraska, when Howard was four and Lloyd was a baby, and they toughed it out until the Skagit County opportunity came up. Howard had gone West in 1897 to work as a fire claims agent in San Francisco — and taking law classes at night — and then returned to Plainview to pass the bar. Sedro-Woolley Attorney Charles P. Gable took him on as a junior partner. Lloyd and his younger brother Laurence lived on the Skiyou farm that their parents bought as part of Charles J. Wicker Sr.'s homestead. Wicker had moved to newly merged Sedro-Woolley and opened a real estate company with Harry L. Devin. Lloyd recalled in the book that the "old ranch was in disarray, dad built a new home, house and barn on the uncleared part." The accompanying Journal transcription of Lloyd's story of the rampaging 1909 flood tells many of the details of his life on the farm and we learned there that his mother died sometime in that year, before the freshet, as floods were often called back then — the biggest freshet in anyone's memory. His father died in 1915. One of Lloyd's most distinct memories as a child was when neighbors built a plank road that followed what is now the Hoehn Road to Utopia. That was a very important tool of commerce at the time just after the turn of the 20th century, as loggers hauled shingles from the Skiyou mill to the Sedro loading shed. He remembered the old trail nearer the river, and when he walked along the Fairhaven & Southern tracks down to the Skagit River where the Clark & Lennon mill stood alongside the ruins of the original town of Sedro and Mortimer Cook's settlement of Bug. He recalled that the plank road crossed the tracks — by then part of the Great Northern route, and then the road followed the edge or bench above the bottom land, curving like the cow trail it originally was and avoiding trees that still stood in the way. In the mornings, Lloyd met up with Ethel and Earl Van Fleet near the Benson Creek (now the Hansen Creek) bridge and walked to school in old Sedro at the corner of Talcott and Sixth streets, approximately where Central School stands today. The other relatively close neighbors were Harold Finch, Frank Kirby and John Harrison, who owned land north of the Skiyou shingle mill. Kirby had followed the Seaburys out to Skagit Valley and bought a house in another part of the old Wicker orchard. They also brought then-rare Guernsey cattle with them. Kirby's wife was Lloyd's older sister May, or Mamie and they had at least one child together. Lloyd recalled the days out on the farm when he watched Emmett Van Fleet at his favorite spot — sitting on a sturdy rail fence, and telling stories to anyone who would listen about how he brought his household goods up the river from Mount Vernon to the mouth of Benson Creek when they arrived in May 1880 to take the claim next to where the Wickers would drive stakes four years later. Howard soon married Margaret Morrow, also of Iowa, in November 1901; her father T.J. Morrow recently moved to S-W. Their daughter Esther was born on Dec. 18, 1902. Howard was Republican in politics but oriented towards being a liberal. He joined the secret societies, Odd Fellows/IOOF, the uniformed rank of Knights of Pythias, along with the Royal Highlanders and Modern Woodmen of America. In 1909, brothers Laurence and Lloyd opened a steam laundry in Concrete, the town that formed in 1909 along the Baker River as a merger between two earlier towns. Laurence became a game warden in the North Cascades, circa 1920, and then became a forest ranger with Tommy Thompson. Lloyd married a woman named Beulah Mae, a Washington native who was enumerated in the 1920 Federal Census as Ada (Mopran). He was then a tester in the cement plant laboratory and they had a toddler son named Vernon. After his partnership with George Green here for seven years, Howard lost a race for city attorney and began to look elsewhere. He moved to Bellingham in 1912 and began selling policies for General Insurance there, in Seattle and Tacoma, "for the better part of his 90 years," as Lloyd wrote in his book. We do not know very much about Lloyd's adult years. We know that Beulah Mae died in Anacortes in 1964, four years after they moved there from Concrete, where they had lived together for 29 years. Sometime in the next few years Lloyd began writing history columns for the Skagit Valley Herald, at the same time as Ray Jordan was writing. When he published in 1975, his address was at the Mobile Manor in Sedro-Woolley. We do not have his death date or an obituary. Lloyd's book was produced very cheaply, typed on an IBM Selectric typewriter and printed in a very small run. The only copies we know of for sure are at the Sedro-Woolley, Seattle, Anacortes and Washington State libraries. We hope that if readers have copies, they will let us know. We would like to scan more of the material. 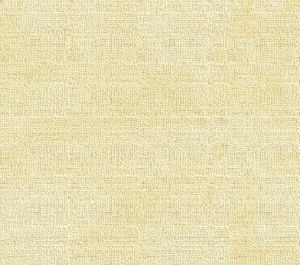 Eliza Van Fleet's profile of her family and their 1880 journey from Pennsylvania to the Skagit Valley, with details from her DAR application.